The Celts or Gauls, name by which the Romans indicated the inhabitants of Northern Europe, expanded to the Atlantic coasts and along the Rhine between the VIII and V century B.C. ; later, starting around 400 BC, they penetrated in today's northern Italy. The Celtic people, were divided into several tribes: the Belgians, the Helvetii, the Aquitani, the Cisalpine Gauls ... The Celts were proud, courageous and strongly adhered to pagan and magic cults, worhipping Nature and the Earth. 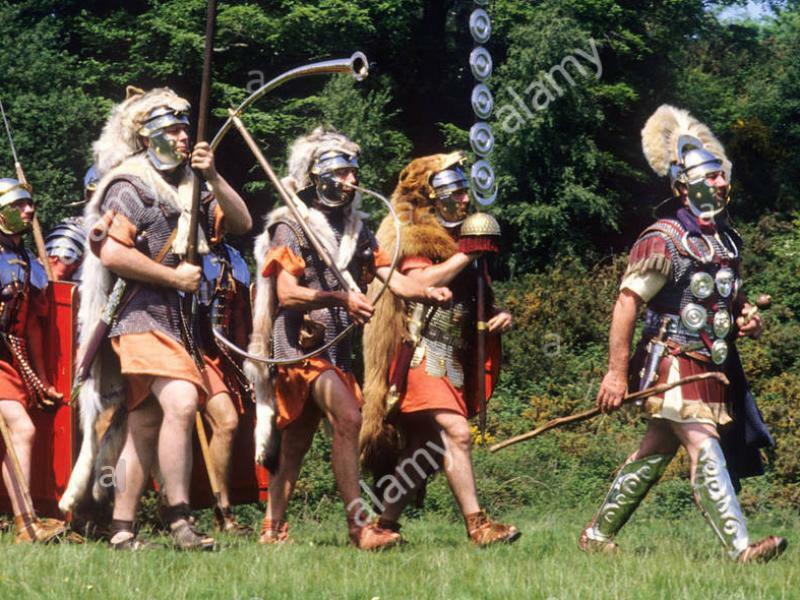 They were staunch defenders of their traditions and they faced in epic battles the powerful Roman army. characterised by furs, linear clothes, thick cloaks adorned with buckles, raw fabrics and clean lines, the Celtic fashion contrasts with the classic draperies,the refined and opulent jewelry, and the sophistication of Roman Culture. In the clothing style of the ancient Romans two kinds of garments can be distinguished: the indumenta, who were worn by day and night, and the amictus, which was worn only during the day. Among the male indumenta we can find the subligaculum or licium, a loincloth made of linen tied around the waist. Above the Romans simply wore the toga, or the tunic, formed by two pieces of fabric sewn together, worn so that, tied around the waist, the back part remained longer, to the height of the knees, while the front was shorter. Women's tunics were longer and could reach the heels.